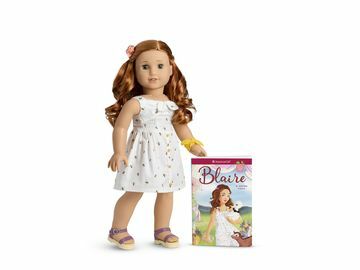 American Girl Encourages Reading and Fun with Read-A-Palooza™! | Mattel Inc.
MIDDLETON, Wis.--(BUSINESS WIRE)-- For more than 25 years, American Girl's award-winning books have helped millions of girls discover the joy of reading and have earned the trust of parents and educators. This summer, to celebrate books and encourage girls to keep their reading skills sharp while school is out, American Girl is introducing Read-a-palooza, a summer reading program created for girls ages 8 to 12. Packed with fun activities and incentives that encourage literacy, Read-a-palooza will run from May 1 to September 3, 2012, and also will include a charitable partnership with Save the Children's U.S. literacy program. To participate in Read-a-palooza, girls can visit americangirl.com/reading, where they can download colorful bookmarks and free book-related content, such as tips and materials for starting a book club. They'll also be able to do reading challenges and take fun, interactive quizzes. Starting in June, girls can participate in Read-a-palooza by visiting an American Girl retail store, where free reading events will be offered all summer long. 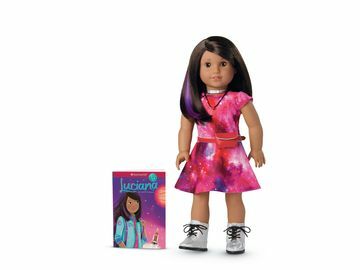 To further emphasize the importance of reading and to help a great cause during its Read-a-palooza campaign, American Girl is partnering with Save the Children's U.S. literacy program. From May 1 through September 3, 2012, $1 of every book purchased through American Girl (up to a maximum of $100,000) will support Save the Children's efforts to raise literacy rates in impoverished communities by providing basic education and equipping schools and teachers with reading materials. In addition, American Girl will make its third donation of books to Save the Children this fall, bringing the value of the company's total book donation to nearly $1.5 million. For more information about Read-a-palooza and American Girl's partnership with Save the Children, visit americangirl.com/reading. Information concerning Save the Children Federation, Inc., including financial, licensing or charitable purposes may be obtained, without cost, by calling 1-800-728-3843 or writing to Save the Children Federation, Inc. at 54 Wilton Road, Westport, Connecticut 06880.